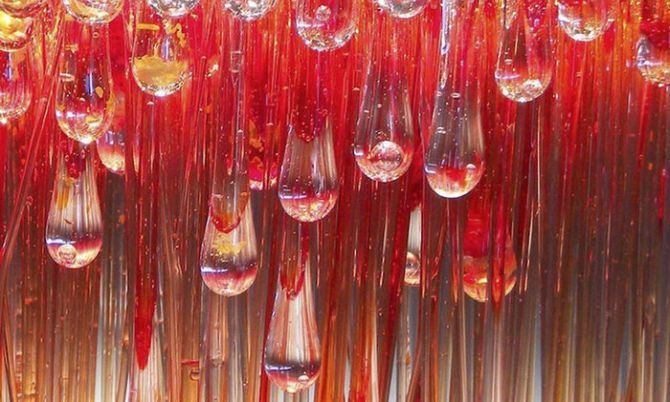 These surreal and unique works of translucent art are created by talented Italian artist Daniela Forti. 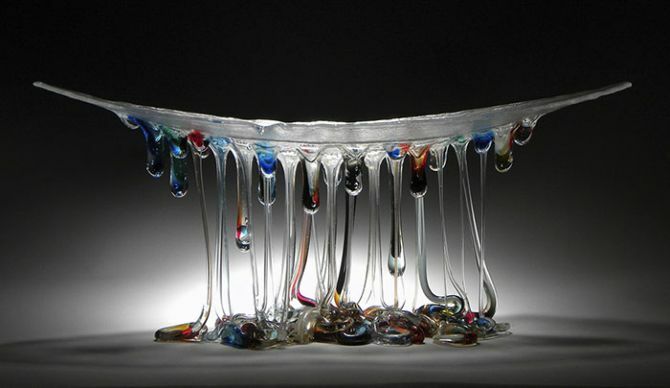 He employs age-old glass fusion technique to create delicate glass tables with dripping tentacles. 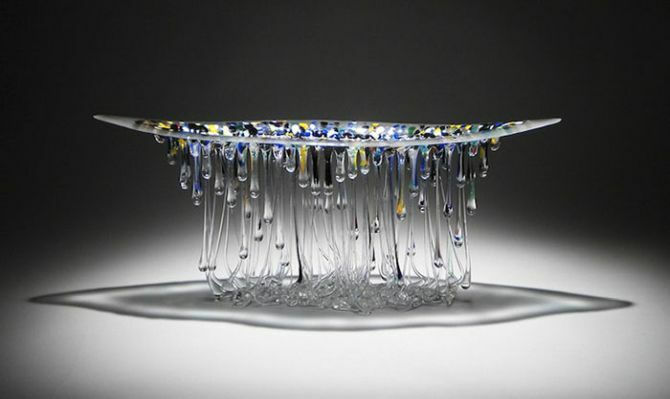 The structure of each glass table resembles a jellyfish, making you feel as if these are created naturally by a sea. 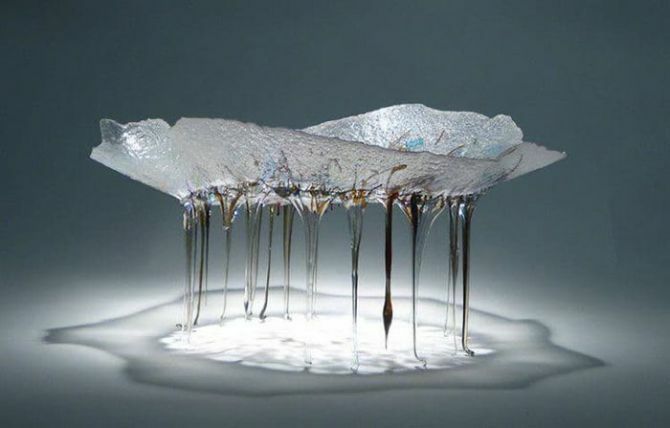 Referred to as ‘sculpture installations,’ the series of glass jellyfish sculptures showcases artist’s interest in light and innovative ways to mold glass into something creative. 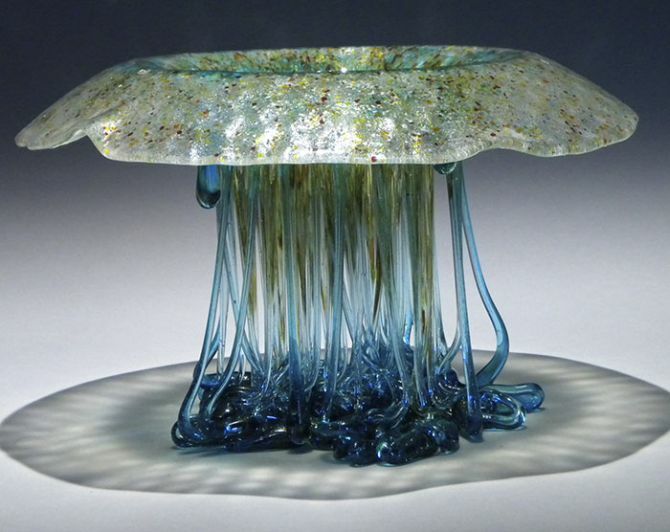 Each structure boasts fluidity and floating nature of the sea creatures. 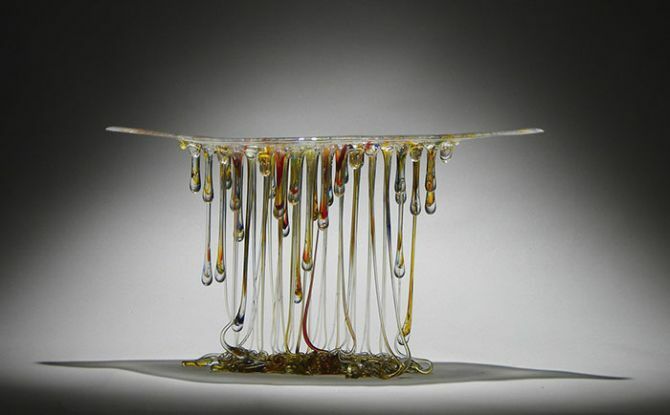 Unlike the 4-legged traditional tables, Forti’s jellyfish glass tables feature several dripping tentacles to provide structural support. 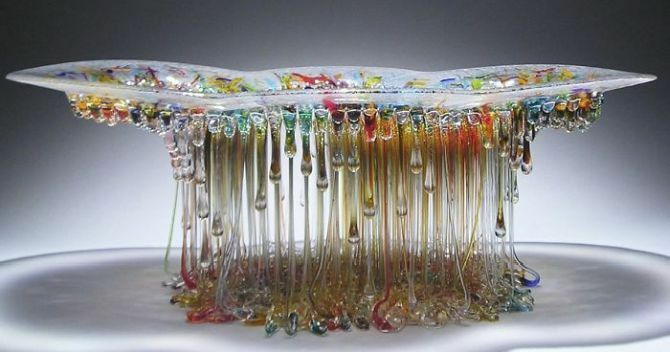 Hence, makes it both functional and artistic at the same time. 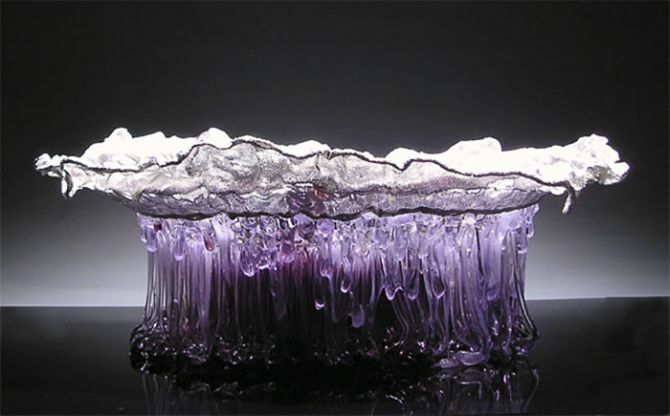 In the unique method called ‘glass fusion,’ glass is blended with crystal to create one-of-a-kind formations. 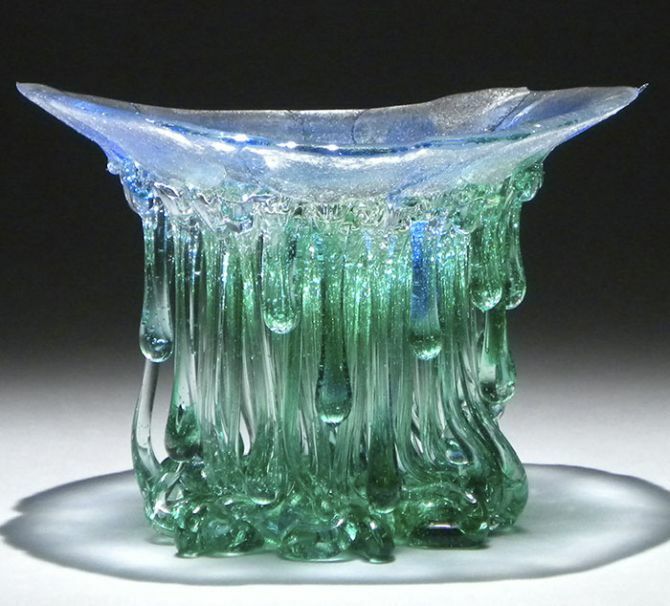 During glass fusion technique, new glass is constructed from a solid state by melting its original form. 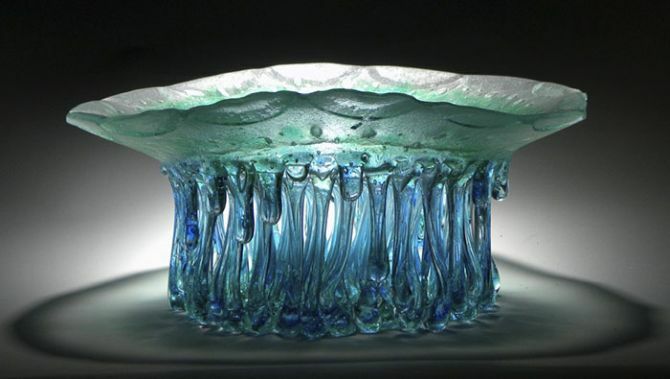 Solid glass is heated at 800 to 850-degree Celsius so that it becomes slightly fluid and able to mold into any designed form. 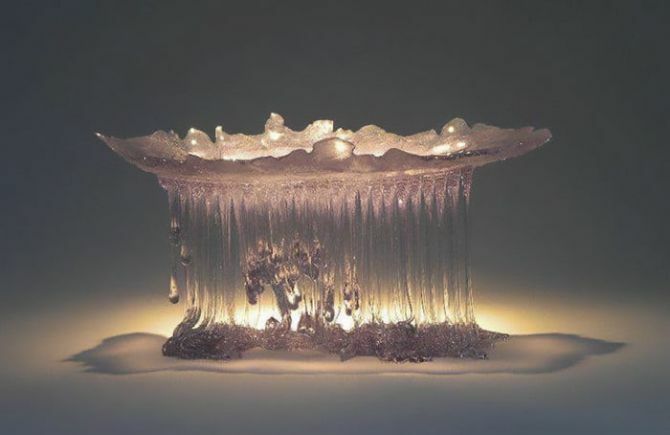 The cooling process is quite slow in order to reorganize and provide molecular stability to the structure. 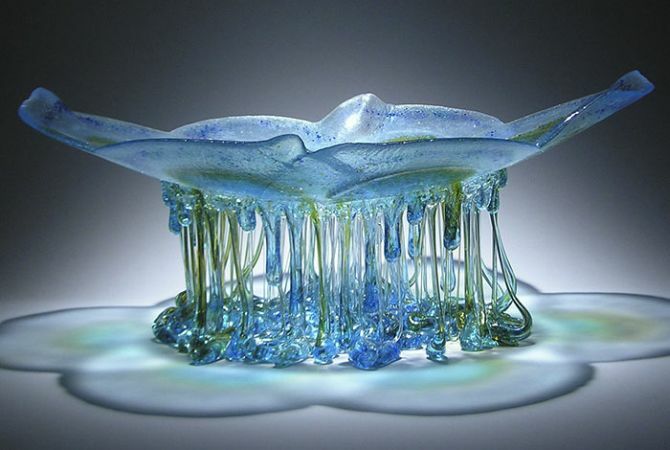 Combining creativity, patience, and technique, Forti is able to fabricate these ethereal glass jellyfish sculptures that are likely to grab the attention of the viewers. 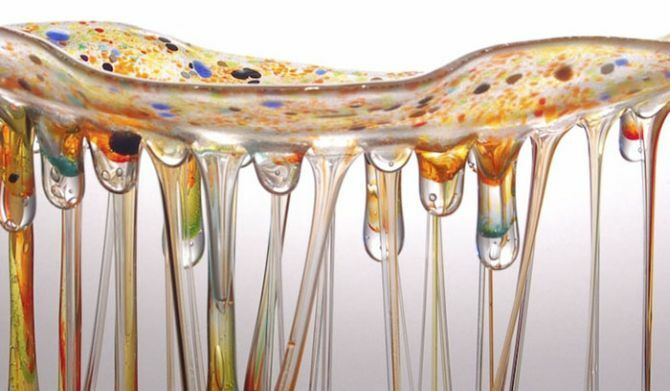 For more information, visit Forti’s official website. 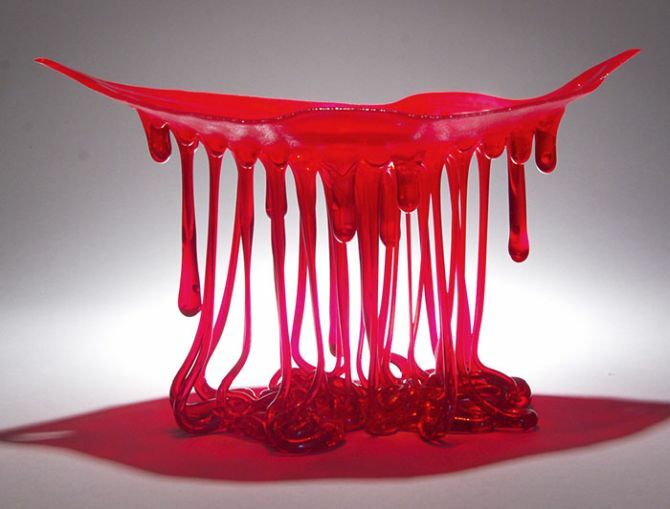 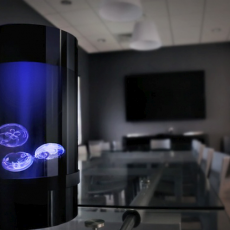 Check out the artistic jellyfish tables in the images given below.